I had a fantastic birthday yesterday! Turning 30 wasn't so bad after all! 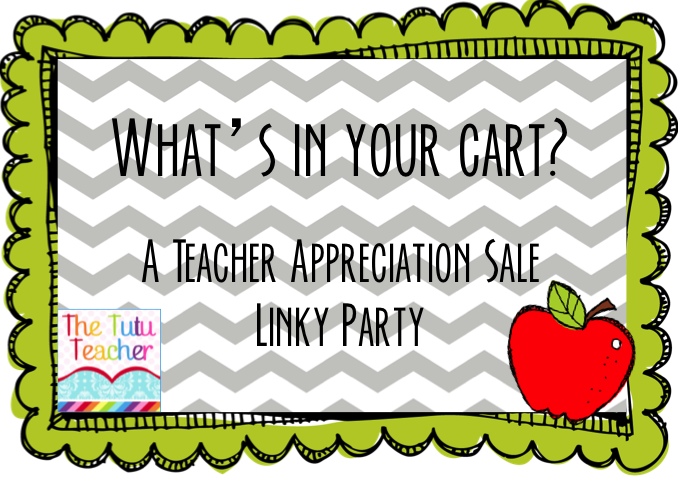 As many of you know by now, TpT is having a BIG teacher appreciation sale! From May 7-8th you can receive up to 28% off everything! I'm so excited! I've got tons of goodies in my cart ready to purchase. While I was loading up, I thought it would be nice to know what goodies other teachers have found. 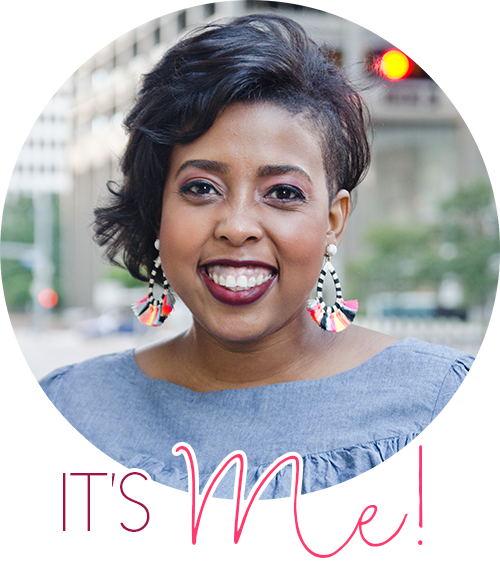 So, I started a linky party. Here's a graphic I put together using Scrappin' Doodles graphics. 1. Show off your cart! What great things have you found? (so the rest of us can snag it!). 2. 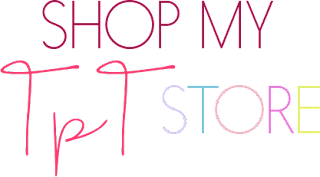 Show off ONE item from your own store! Why not brag a little? But just make sure to keep it at one item. That's it! Simple right? Here's what I've got in my cart. 1. Coffee, kids and compulsive lists has some adorable borders that I've been eyeing for quite awhile now. They are in black in white...which is the perfect way to spruce up those recording sheets (and save a little on color ink). Check it out here. 2. Little Miss Kindergarten has a Number Talking Resource that I think will make the PERFECT math center choice. There are over 200 pages in this set...I mean...how can I NOT buy it? Check it out here. 3. Tara from Little Minds at Work has a set of Phoneme Segmentation Activities that I REALLY want. It's perfect for those kiddos who are just about ready to read...I've kinda stalked her blog over and over to read about her in room process for this set. LOVE IT! Check it out here. 4. Last, but not least...I used my Fun with Frogs activities last week in my classroom. The kids had a great time. They really love frogs! They can't wait to see our tadpoles turn into froglets! Check it out here. Alright now it's your turn! Give me an excuse to spend more money!! What's in your cart? Join the linky party below! Happy Belated Birthday Vera! I had trouble with that one (30)...a few short years ago. Happy Shopping this week!